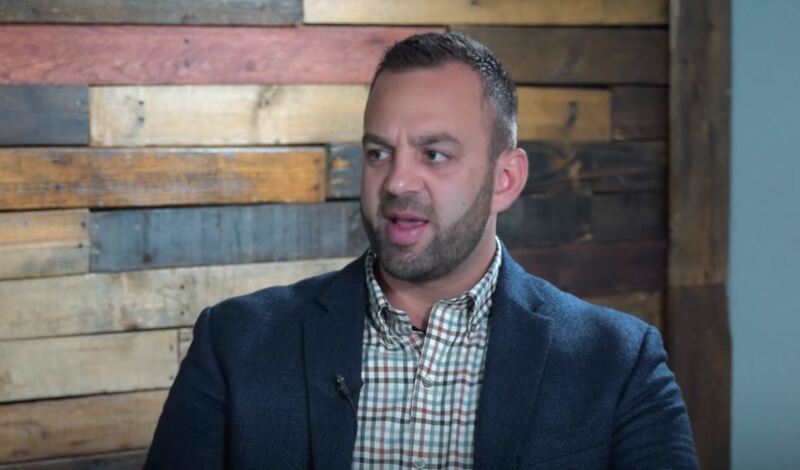 Costi Hinn’s journey from a charismatic belief in “health and wealth” theology to a less glamorous devotion to biblical scriptures did not take place overnight. Once heavily embroiled in the prosperity gospel or “word of faith” movement, Costi embarked on a whirlwind voyage of Biblical exploration, eventually concluding that the gospel his own uncle preached was ultimately heretical. In a recent interview with minister Justin Peters, Costi opened up about his extraordinary journey. During his college years, Costi began to travel with his uncle Benny. He decided to take a year off and “sow” into his future, trusting God for success. Costi believed that if he could only play his cards right, God would do absolutely anything for him. Hinn candidly admitted to Peters that he was young and “liked all the perks” that came with the ministry trips. But that feeling didn’t last long, and things quickly took a turn. Things were not adding up for a young and inquisitive Costi. He recalled meeting a young girl with a severe deformity and being utterly baffled at the fact she did not get healed. “They brought her to the back. We prayed for her, my uncle prayed for her. I was bawling my eyes out later that night saying ‘God why didn’t you heal her?! Everyone was supposed to get healed,” he explained. Costi noted how his uncle Benny would often declare that “everyone would be healed” at his vast crusade events and that once, Benny even insisted that Jesus was going to physically appear during a massive gathering in Kenya. Then, things really began to unravel for Hinn. The gap between what he was reading in the Bible and what his famous uncle was teaching began to widen dramatically. Costi was shocked when the family and friends that surrounded him suggested that because this girl’s family did not belong to the same denomination as them, it was unlikely they would be able to “tap in” to supernatural healing power. “There is a lot of twisted hermeneutics that go into the excuses. My questions didn’t get answered,” he said. Costi went on to attend Dallas Baptist University, where he says a sports coach completely changed his theological outlook. “After being discipled there for DBU, I go on to graduate and meet a girl,” Hinn continued. The only problem was, his girlfriend was not from a rich family — a big issue for wealth-obsessed relatives. “One of my family members came to me and said ‘God spoke to me last night in a dream — she’s not your wife. '” Costi added. As Costi continued to study scripture for himself, he came to some startling conclusions. “You can’t tell everyone to speak in tongues. You just can’t,” he said, referencing 1 Corinthians 12:29-30. Costi explained how refreshing it was to be treated as a normal follower of Christ, without being limited by his name and the connotations it had in relation to the prosperity movement. “People often asked pastor Tony, ‘what are you doing hiring the Hinn kid? '” he laughed. As his church began to develop, Costi began his theological training and was given a passage to teach on, John 5: “The Healing at the Pool of Bethseda.” He was handed a John MacArthur commentary. At one point, MacArthur was an arch-enemy of Benny Hinn due to his secessionist beliefs about the work of the Holy Spirit in the modern age. “That’s who my uncle wanted to get his Holy Spirit machine gun and blow his head off with,” Costi explained. As he read MacArthur’s commentary, he was re-introduced to that “truth-bomb” of God’s sovereignty. Watch the full interview above and check out more about Mission Bible Church here.